Like most people, I watched the story of the final moments of Osama bin Laden unfold with total fascination. For days, I couldn’t take my eyes and ears from the information, descriptions and conspiracy theories streaming endlessly from mainstream and new media. It was, and will be for some time yet, a big story. Even before the dust had settled, all I could think about was getting myself to Abbottabad. I justified this travel urge to myself by praising the city’s quirky British heritage, fine, temperate climate and stunning views from the surrounding Sarban Hills. But the reality is, I’d just love to take a look around the bin Laden digs and smell this dramatic, violent moment in history. And if reports are correct, it appears that local hoteliers have every expectation that the end of bin Laden will be the start of something big for Abbottabad. Why is it that so many places connected to events of immense horror, bloodshed and death become macabre beacons for travellers like me? I’ve even made the pilgrimage to The Viper Room, for goodness sake. Some of these places I sought out. Others just drifted into my awareness as I approached them. But all of them pushed an emotional button that I can’t quite put my finger on. 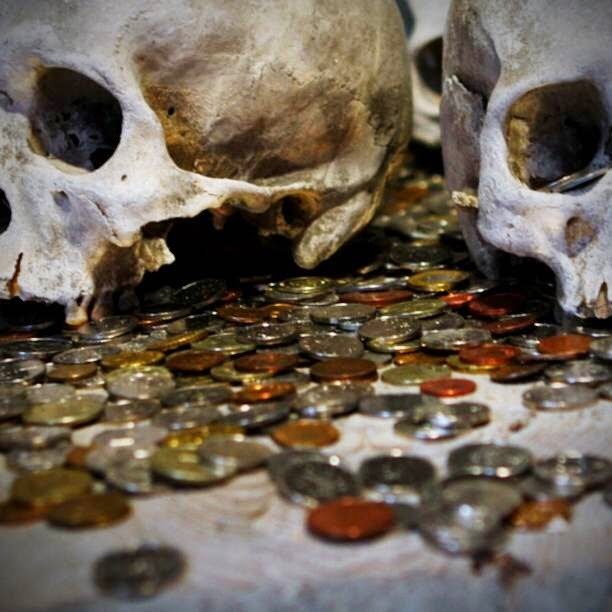 Is Dark Tourism the dirty little secret of the tourism industry? And, is it right to cash in on tragedy? I don’t know the answer to either of those, but I'd be quite happy to part with good money to be shown around the inconspicuous bin Laden hideout in a place I'd never heard of until a few weeks back. Abbottabad’s place in infamy is assured and it will be a name long remembered. Its future is bound to be significant as it becomes the focal point of some major diplomatic and geopolitical moves yet to be played out. So even in death, it’s clear Osama bin Laden still has a cold finger on some of the chess pieces. And, with both Abbottabad and Ground Zero on my bucketlist, it appears he has his hand in my wallet, too. I sort of get where you're coming from Ollie, but needs to be done right to not be crass. I still haven't been down to ground zero due to exactly your point: seems exploitative + $$$ doesn't get to people who suffered (NYFD, families who lost people). I'm particularly appalled by the people selling (& buying) souvenirs. Also, its just a big hole in the ground at the moment anyhow. The Katrina tours in New Orleans are pretty offensive for same reason - people gawk @ the mess but those who suffered aren't benefiting. One of our mates (Guy) has been to pretty much every totalitarian state, which is a variant on dark tourism - seems to be more checklist than enjoyment & however small, props up those regimes. I guess with the passing of time &/or the right level of respect, it softens the potential offense - Normandy OK. Katrina, not so much. It is interesting we seem to have a fascination with tragedy as travelers. I think these places shouldn't be exploited, but visiting them does bring on certain powerful emotions and connections to problems and tragedies you can't really get from just seeing them through the television screen.